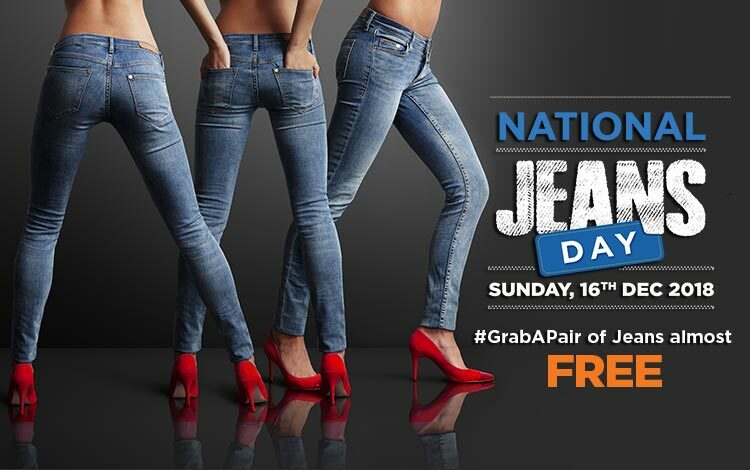 Get your exclusive invite for NATIONAL JEANS DAY on 16 Dec! Give a missed call on 18005324646 n #GrabAPair of jeans almost FREE Buy jeans at Rs999 or above and get Free T shirt (Rs 499) + Rs 500 cashback. • This registration is open from 06 to 16 Dec 2018. • Registered user shall get jeans for almost FREE on 16 Dec.